Rebel offers a wide range of the latest release, quality, branded sporting and leisure goods. 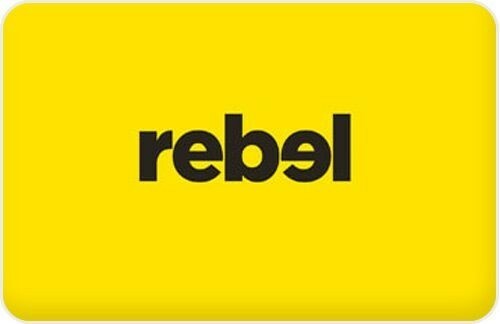 Rebel offers an extensive list of products for the casual and serious fitness enthusiast, including sporting and exercise equipment, gym & fitness, clothing, footwear & associated accessories for running, swimming, football, tennis, cricket + much, much more. There are nearly 100 stores Australia wide. Rebel Rebel offers a wide range of the latest release, quality, branded sporting and leisure goods. Rebel $100 eGift Card Rebel offers an extensive list of products for the casual and serious fitness enthusiast, including sporting and exercise equipment, gym & fitness, clothing, footwear & associated accessories for running, swimming, football, tennis, cricket + much, much more. There are nearly 100 stores Australia wide. No change is given and any balance that remains on the Gift Cards can be used in whole or part against future purchases at participating stores. Super Retail Group Services is the issuer of the Amart Sports eGift Card but is not the promoter of the offer, nor responsible for fulfillment of the offer terms.